There’s nothing new under the sun, the old saying goes. It’s hard to believe it when you look around the modern world. Technology is advancing faster all the time, but it’s an older invention that’s responsible for some of the biggest change. Cars have transformed both our landscapes and our bodies. We get much less exercise than we used to do, which is one reason that waistlines are expanding and more people are becoming overweight. That’s happening even in countries that were once considered poor and struggling, like Mexico and China. Piling on the pounds can be dangerous. It puts a strain on the heart and on other organs in the body. That’s why rates of diabetes are rising just as rates of obesity are. And diabetes can be a devastating condition. Among other things, it can cause wounds on the lower limbs that stubbornly refuse to heal, leading to loss of the feet and even the legs. Fortunately, science is fighting back and a new technique is bringing some positive results. Then again: it isn’t a new technique. Maggot therapy is something that existed in ancient times, long before antibiotics and sterilization. It’s the use of maggots to clean wounds and promote healing. It might sound disgusting, but it has been shown to work very effectively. Maggots don’t just eat dead tissue in a wound: they release chemicals that retard the growth of bacteria and even kill them. 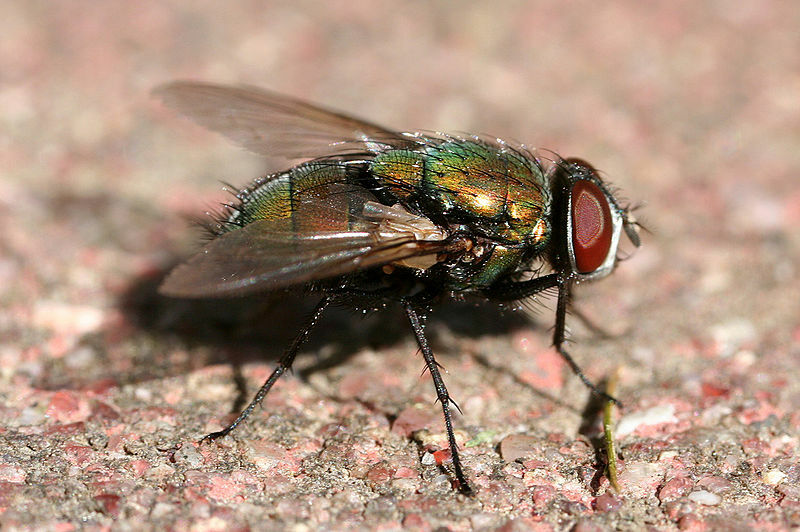 The most popular maggots are those of the green-bottle fly. They’re grown under laboratory conditions in a carefully controlled sterile environment, then placed on wounds to clean them, fight off bacteria and promote healing. You could call them a helping handful and many patients with diabetes have reason to be very grateful to green-bottle maggots. Without them, more people would be undergoing amputations and other serious forms of surgery. But the maggots may be about to get even more helpful. The old kind release chemicals that fight bacteria, but now scientists from North Carolina State University in America and Massey University in New Zealand have been using genetic engineering to create a new kind. These maggots will release a special chemical that stimulates the growth of new cells in the wound. If the research is successful, it will help overcome some big problems presently facing medicine: the rising cost of drugs and the falling effectiveness of antibiotics. In a sense, the genetically-modified maggots will be a living drugs-factory powered by the dead flesh they eat in the wound. That will be cheap and highly effective, because they’ll be at work around the clock and directly in contact with the wound that doctors are trying to heal. As rates of diabetes rise, more and more people face the unpleasant prospect of foot- and leg-amputations and the life-long restrictions that they bring. Maggot-therapy is already helping doctors fight back, and if the new technique proves successful it will become an even more powerful weapon in the medical armoury. As the world changes, so do the challenges we face, but something very old is always there to help us overcome them: the human brain and its ingenuity.